With nearly four decades of experience as a business leader and managing accounting firms, Geoff Richmond has helped thousands of business owners improve their bottom line and increase their profits. 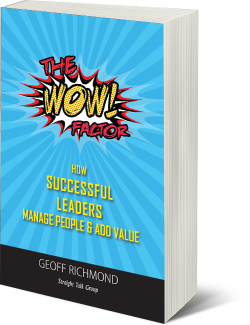 Geoff’s experiences, tips and strategies will not only be invaluable to any budding accountant looking to improve their business, but to anyone who wants to improve the way they deal with clients and employees and make an impact on their lives. More Time, More Money, More Fun! 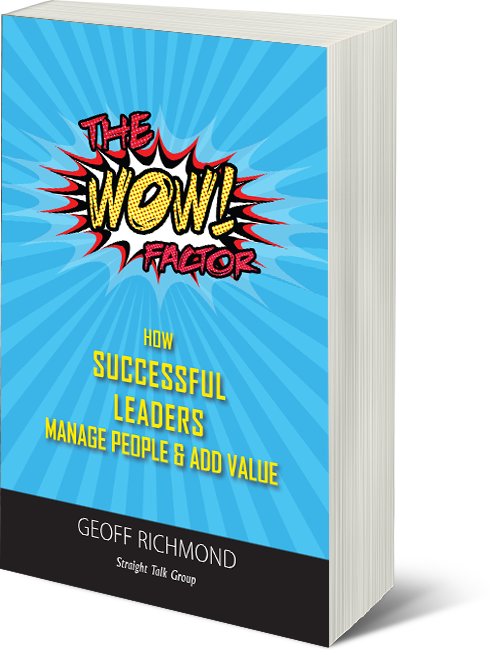 The WOW Factor: How Successful Leaders Manage People & Add Value contains the leadership secrets for achieving success in the most important aspects of your life—your business, your career, your family, and yourself. Start now to discover how you too can get More Time, More Money, More Fun! Learn why Time is not Money… Value Is!